8 CDs in cardboard sleeves plus 16 page booklet, packaged in a cardboard box. The tracks on discs 4 to 8 were published by Kling Klang Musik, Sony/ATV Music Publishing, Warner/Chappell Music. Disc 7 is mixed specially for standard headphones only and was mastered at Luna Studio. I really do not understand the bad comments about the songs being live without the crowd noise. When any musicians record in the studio, does not they do it without the audience being recorded? 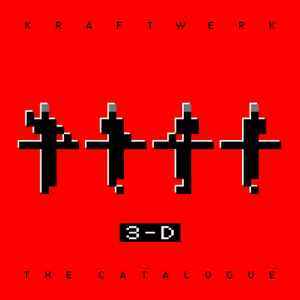 Jean-Michel Jarre did it, did Mike Oldfield, what is the problem that Kraftwerk wants to give us new versions of their songs with studio quality? The new recordings we have here from Autobahn, Radio-Aktivität, Trans Europa Express, Computerwelt and even Tour De France have sublime new arrangements to discover and enjoy. Yes, enjoy this wonderful music in its purest state, without the annoying noise of the crowd! Quite disappointing box in my opinion. Yes, the production is great. And yes, the sound is flawless. But what exactly is the sense of releasing a box of live versions when nothing gives you the feeling of a live performance? As you only get the clean and sterile music files instead of a true live recording including the atmosphere and the reactions of the audience you should go for the "Minimum-Maximum" release if you are interested in a Kraftwerk live recording. If you are already in possession of "Der Katalog" box from 2004 and "Minimum-Maximum" you might want to skip this one. Are the vocals in English or German? I understand that some of their songs are only in German.